Discussion in 'Strategic Defense' started by Kamran shehzad, Apr 15, 2019. “We all know Paul would have been proud to witness today’s historic achievement,” said Jody Allen, Chair of Vulcan and Trustee of the Paul G Allen Trust. 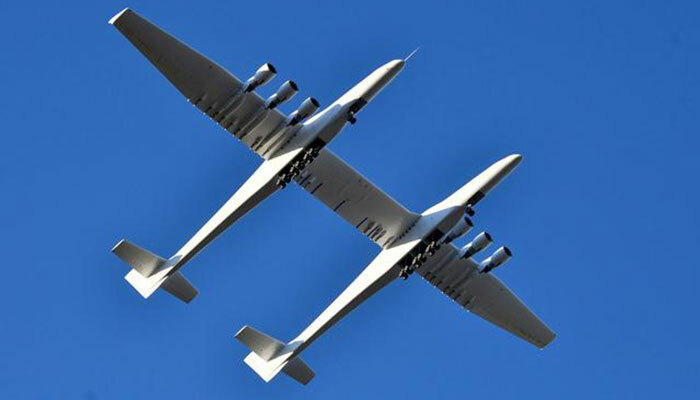 “The aircraft is a remarkable engineering achievement and we congratulate everyone involved. I doubt this will go anywhere now that Allen is dead. Not that it had much of a chance before. As a space launch vehicle it is too complicated and will have too little payload. Also they don't have the technology for the upper stage. It relies on someone else doing it. The other similar launch vehicle, the Pegasus, has a dismal sales record and that's with a company which actually knew about how to make a space launch vehicle. This is an American program not Chinese shouldn't it be elsewhere? Is it possible for China to stockpile the largest amount of nuke warheads?